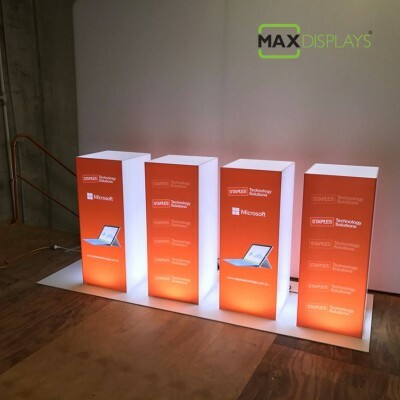 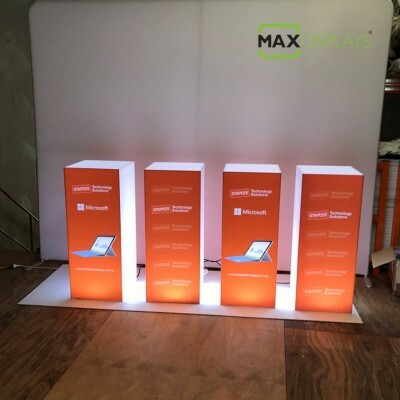 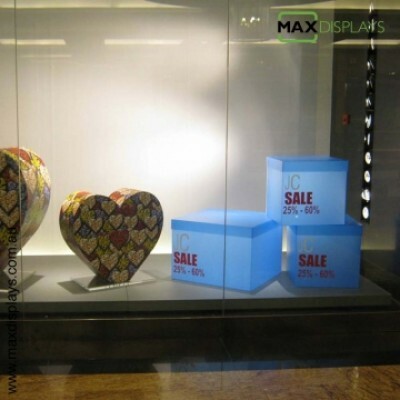 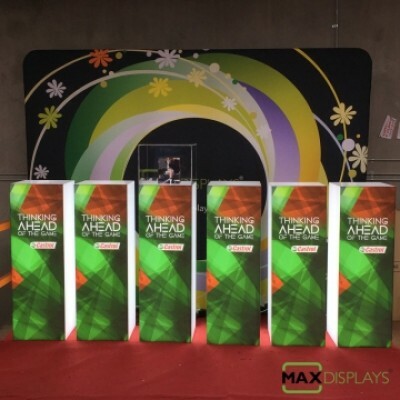 At Maxdisplays, we offer an ultra premium display product of “ Illuminated Plinths “ for high-end display solutions. 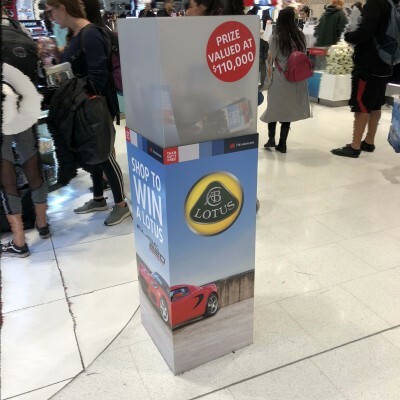 Our Illuminated Plinths, also known as “ Perspex “ are sought-after for their ultra-rich look and the huge visual impact they make. 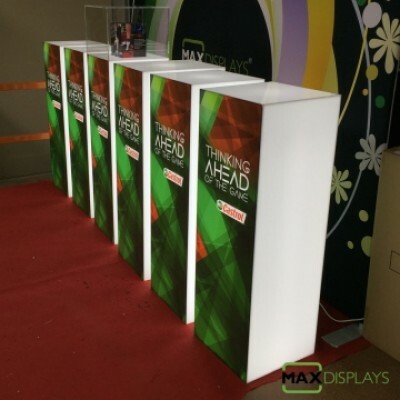 These are in demand for displays in Exhibitions, Malls, Retail Stores, Nightclubs, Events and Weddings. 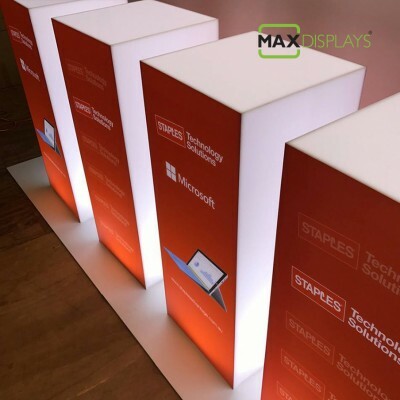 Our illuminated plinths are made out of acrylic and polypropylene and are light-weight ensuring super portability. 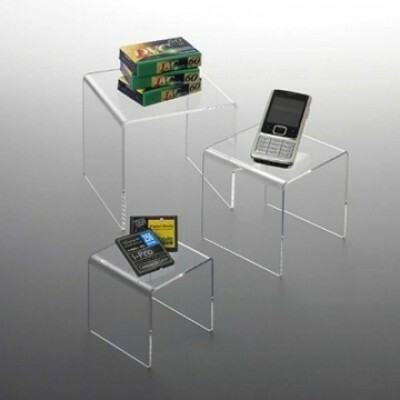 Each plinth is crafted from acrylic and illuminated from within using a mains-powered light source or battery. 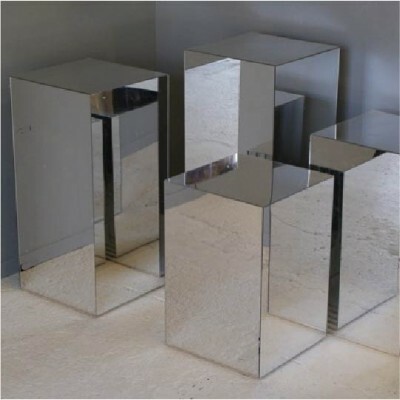 These stylish and eye-catching ‘ light-box ’ style pedestals are hand-made and this entire unit can be made to suit your project with a range of different colours & sizes. 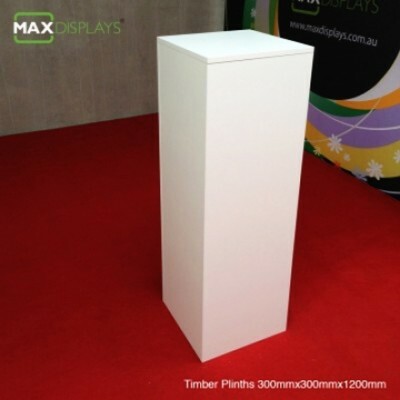 The Standard size of these plinths with lighting is 400 x 900mm. 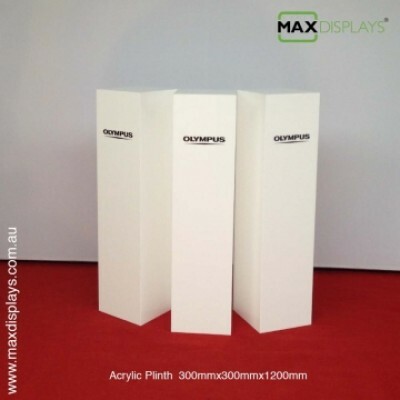 Our light-box plinths provide you options of different colour displays, by usage of different coloured lightings, which adds more visual impact to the product on display.